Diana and Actaeon by Maria Baranova and Alexei Timofeyev, music by Riccardo Drigo and Cesare Pugni, choreography by Agrippina Vaganova. Kenneth and Friends Gala 2014 at Finnish National Opera. Shot on 24.05.2014. Maria Baranova is principal dancer with the Finnish National Ballet. She was born in Lohja, Finland. Maria Baranova entered the Helsinki Dance Institute in 1999. Later she studied dancing at the Ballet School of Hamburg Ballet and at the Helsinki Dance School, under Anastasia Dunets, Maj-Lis Rajala and Juha Kirjonen. She was the dancer of Hamburg Ballet in 2009–2011 and since 2011 she is the principal dancer at the Finnish National Ballet. Alexey Timofeyev was born in Leningrad (St Petersburg). 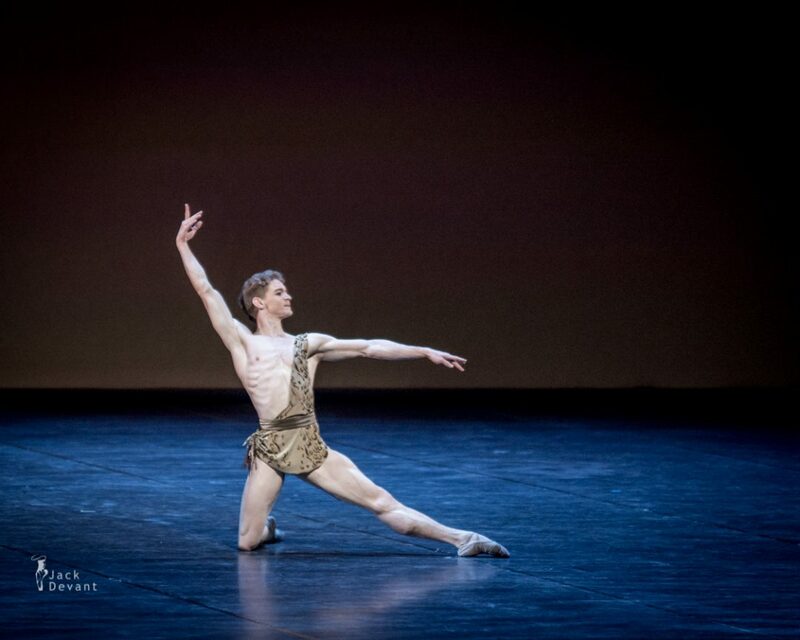 He graduated from the Vaganova Academy of Russian Ballet in 2004, class of Gennady Selyutsky. Alexey joined the Mariinsky Ballet in 2004. La Esmeralda is a ballet in 3 acts, 5 scenes, inspired by Notre Dame de Paris by Victor Hugo, originally choreographed by Jules Perrot; with music by Cesare Pugni. It was first presented by the Ballet of her Majesty’s Theatre, London on March 9, 1844. Today the ballet is presented in its full-length form only in certain parts of the world, in most cases only excerpts are given – the La Esmeralda Pas de Deux and the Pas de Six, but mostly the Diane and Actéon Pas de Deux is given, which in all actuality is not originally from the ballet.